Once upon a time. Already a long, long time ago a little girl, 15 and a half years old was in Imst. That little girl’s name is Celine Cuypers. 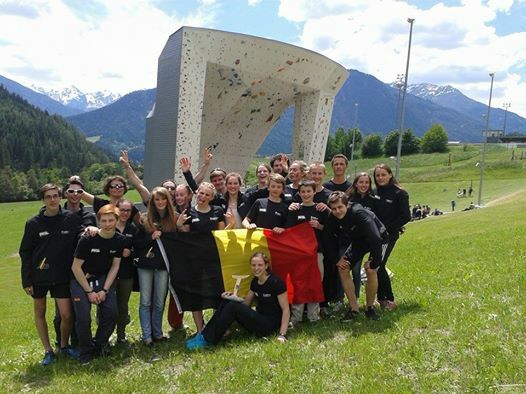 She was in Imst for a climbing competition. Imst is a little village in Austria. In this country, climbing is a very popular sport but here in Belgium it is barely known. Although we have a champion by the name of Anak Verhoeven, whom just became 3rd at the world cup in China, climbing gets little or no press coverage at all in our country. In Austria there is a big climbing gym called Kletterhalle Imst. Every year, there are several competitions there. Celine went to the European youth cup to compete in the first year of the A category. And that is how this short story starts. On Friday, she woke up very early. 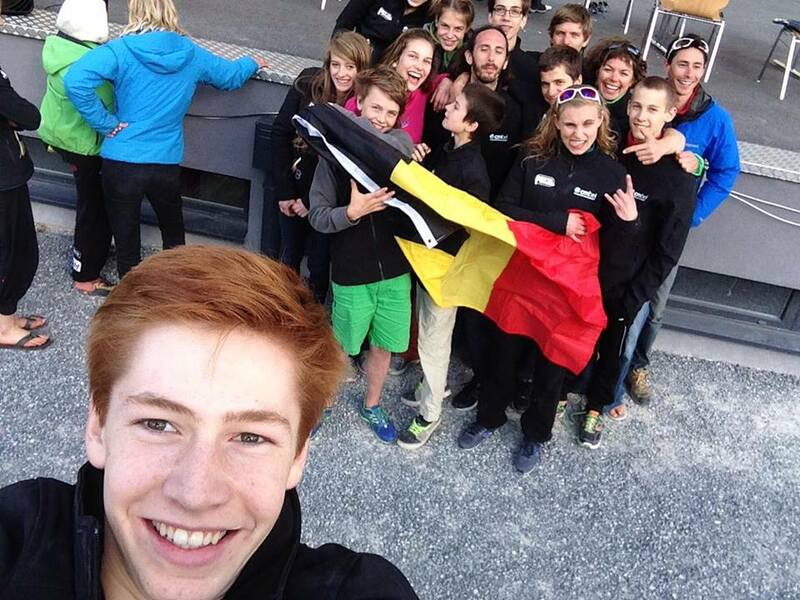 She went with the Belgian team to Austria. Driving a long way. Saturday was an early start again. The qualifications were nice routes. Celine topped one of them and the other one was not very good but still good enough to get her in the finals. She had to climb this one very early in the morning and the holds were still freezing cold, which is why she fell too early. Before the one that she was able to top, Margot had come to her to encourage her, saying that this route was totally her style and that she was sure that Celine would do a great job. Her friend Héloïse was ranked first after the qualifications, but she didn’t do very well in the final, ending 10th. Celine was ranked 10th after the qualifications and in the end she turned out 7th. So it did indeed get better. Anak won in the Junior category by flawlessly reaching the top in every single route. In the B category, Elfe Claes became 14th and Cathinka Tilborghs 27th.